The PA plans to ride the wave of its UN success with a passport upgrade. The Palestinian Authority is working to make the most of its symbolic UN victory with a passport upgrade that would make its passports “state” documents. 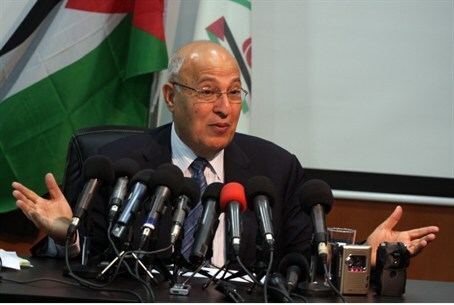 A senior PA official revealed the plans in an interview with Al-Quds newspaper. The change to “state” status is important because it shows that “the state of Palestine is occupied,” he said. The PA is also using the UN vote to threaten Israel with international lawsuits. PA officials said Tuesday that they plan to take Israel to the international criminal court if the government goes ahead with plans to allow construction in the Jerusalem area. The PA’s other major focus, besides playing up its diplomatic victory, is its latest attempt to reconcile with Hamas. A step forward was made this week when Hamas agreed to allow Fatah members who fled Gaza in 2007 to return to the region.